Rhubarb is known to fight cancer, inflammation, kidney failure, and digestive woes. Rhubarb is one of the oldest and best-known Chinese herbal medicines. Most of rhubarb's health benefits are related polyphenols called tannins and anthraquinones. My family makes sure every year to have a large rhubarb crop in the garden for making rhubarb pie, rhubarb crisp, rhubarb sauce, and other delicious dishes. But not everyone knows that rhubarb is also one of the oldest and best-known Chinese herbal medicines. Certain species of this plant, like Rheum palatum or Rheum officinale, are often used for medicinal purposes and have been used to treat a variety of ailments. Why Is Rhubarb Good for You? Rhubarb contains many active constituents, including phenolic compounds. Rhubarb health benefits are related mostly to polyphenols called tannins and anthraquinones. Both are readily absorbed after ingestion, making rhubarb a valuable and safe source of these polyphenols. For medicinal uses, an extract from the root of the plant is often used and taken as a supplement. While the stalks are also edible, beware of the leaves of rhubarb, which are poisonous if ingested. 1. It can fight inflammation. Inflammation is a protective mechanism of the body, but chronic inflammation can lead to various diseases and problems. Rhubarb has powerful anti-inflammatory effects and it has often been used in Chinese medicine as a treatment for inflammatory diseases like appendicitis and rheumatoid arthritis. 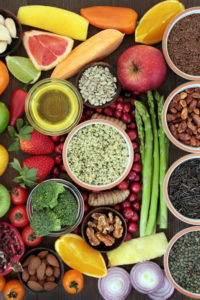 It also helps to prevent angiogenesis, which is the formation of new blood capillaries from existing ones, which can contribute to inflammation and lead to inflammatory diseases. 2. It can ease digestive problems. Rhubarb can also treat digestive issues and gastrointestinal disorders. Traditionally, rhubarb was used as a laxative, and recent studies show that it can, indeed, help with constipation. [1,4] A compound in the plant called rhein is known to promote bowel movements. Rhubarb can also help treat diarrhea. Tannins are anti-diarrheal compounds, and a recent study showed that rhubarb extract also helps to regulate the absorption of water in the digestive tract which helps to prevent diarrhea. 3. It can protect kidney function. One of the major areas of study regarding rhubarb extract surrounds kidney function. Research shows that rhubarb extract can protect renal tissue and improve symptoms of chronic renal failure (CRF). Researchers conclude that, “rhubarb can be used as an ideal medicine in treating CRF” because it is so effective at improving renal function and reducing symptoms in a safe, side-effect-free way. 4. It promotes anti-cancer activity. Laboratory studies have also shown the ability of rhubarb to exhibit anticancer effects. 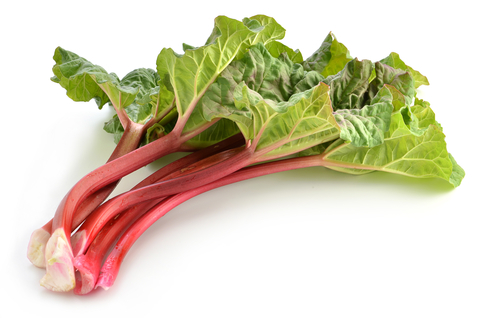 Rhubarb extract inhibits cell growth and induces cell death in cancer cells, and also prevents metastasis. These effects are attributed to the anthraquinone content; studies show that tumor cells are even more sensitive to anthraquinone activity than normal cells. Researchers suggest that rhubarb extract be further studied and considered in the development of new cancer therapies. Clinical trials have generally used around 20 to 50 mg daily of this extract to treat a variety of conditions. To take advantage of the various rhubarb health benefits yourself, find a rhubarb extract at your local natural grocer. It generally comes in liquid form and you can add the recommended number of drops to a glass of water for an easy daily supplement. Have you ever used rhubarb extract as a supplement? What did you use it for and what were your results? Share your experience in the comments section below. Did you know rhubarb is actually a vegetable? It’s often used within desserts, but it’s actually a vegetable. And, as we highlight above, rhubarb health benefits are many. But what about your other favorite (and not-so-favorite vegetables? See our series of posts that discuss various selections. Benefits of Cruciferous Vegetables: Eat Your Brassicas! See also Vegetarian and Vegan Diets Are Becoming More Mainstream. Med Res Rev. 2007 Sep;27(5):609-30. J Ethnopharmacol. 2009 Jul 6;124(1):18-25. Zhongguo Zhong Yao Za Zhi. 2002 Apr;27(4):241-4, 262.
add, anti inflammatory, anticancer, appendicitis, arthritis, bowel movements, cancer, cancer cells, chronic inflammation, constipation, cruciferous vegetables, diarrhea, digestive, Digestive Issues, digestive problems, digestive tract, gastrointestinal, health, healthiest vegetables, heart health, herbal medicines, inflammation, kale, kidney function, metastasis, polyphenols, potatoes, rheumatoid, rheumatoid arthritis, rhubarb, rhubarb health benefits, studies show, supplement, supplements, tumor, vegetables, vegetarian. Please give idea that how can I get it ? If I get constipated I eat rhubarb , no sugar added. I like to treat health problems by diet rather then pills.